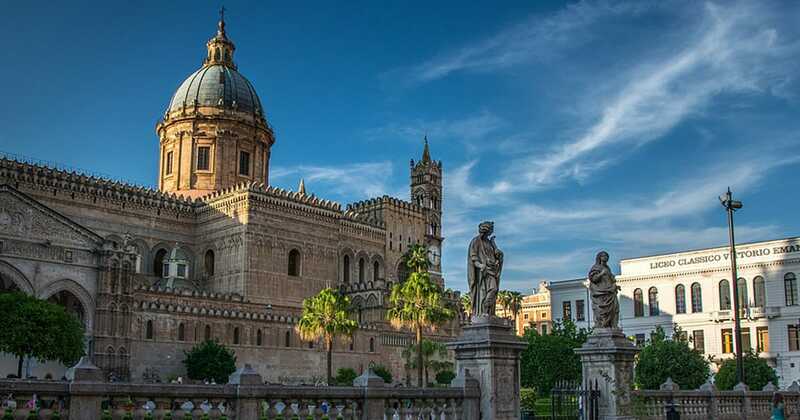 The Palermo Cathedral is one of the symbolic monuments of Sicily. Included in the UNESCO list, it is a must see when in Palermo. 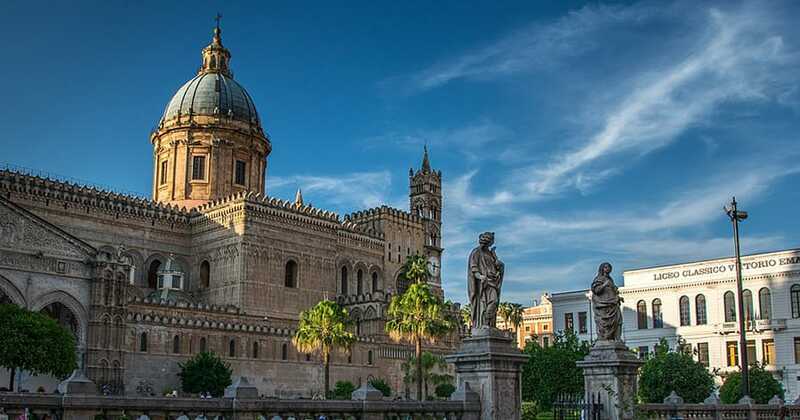 Today, people know Palermo Cathedral as “Santa Maria Assunta“, or Saint Mary of the Assumption. Originally, the main Cathedral was a Christian basilica, built by the Normans. Then, under the Muslims empire, they converted it as a Mosque. Finally, after the restoration of the Christian religion in Sicily, it became the biggest church in Sicily. But now, let’s see what to see in Palermo Cathedral. And, also, some important information like how to reach it, and how much does the entrance costs. In 1885, Walter Ophamil designed and built the main church. History says that he was an Anglo-Norman archbishop minister of King William II. After the end of Pope Gregory I guidance, the Saracens conquered the city. So, Palermo Cathedral became a Muslim Mosque. During these years, Ophamil died an was buried in a sarcophagus, that is still in the crypt. Palermo bears witness to different domains, like Muslims, Byzantines, Latins, Jewish, Lombards, and French. All these cultures lead to a unique combination of architecture and artistic techniques, that we can still notice in the monuments. First, let’s see the Structure, and then we’ll see these 3 spots in detail. Mainly, the corner towers were built between the 14th and the 15th Centuries. Then, architects added the in the southern porch during the Renaissance. After, Ferdinando Fuga carried out the neoclassical restoration, from 1781 to 1801. During this period, all the previous decoration were destroyed and the sculptures moved to different parts. Also, Fuga added the great dome, emerging from the main body of the building. 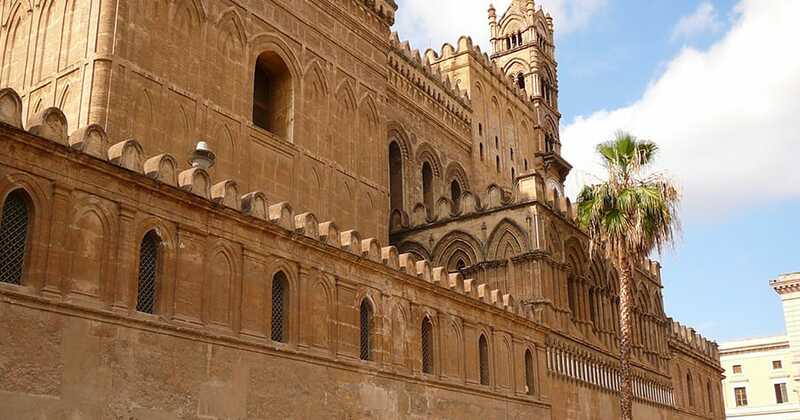 The main Facade is one of the things that made the Palermo Cathedral so famous. Nowadays, it kept the same appearance originally set in the 14th Century. Mainly, the two towers are separated by a Gothic portal, surmounted by a 15th-century Madonna. Then, two arcades connect the facade to the bell tower. Finally, this one is squared and adorned by a fine crown, of small belfries and arcades. First, you can access the crypt from the left side. Above all, it is a room with cross vault, supported by granite columns. Also, it hosts tombs and sarcophagi of Roman, Byzantine and Norman ages. Among the people buried here, we can remember Walter Ophamil, the church’s founder. But, you can visit also the tomb of Giovanni Paternò, patron of Antonello Gagini, who sculpted the image on his tomb. After scaling the steps, you will arrive at the roof of the Palermo Cathedral. Here, you can walk along a narrow catwalk, that runs the length of the roof. According to the tourists, it offers some lovely views of the square, as well as of the city of Palermo. To start, the right side has wide portico, that is the entrance. From here, three arcades open to the square. Subsequently, the area of the apse is enclosed by the turrets, and decorated on the external walls. All this area is part of the original building. The, all the modern part of the Palermo Cathedral is one left side. 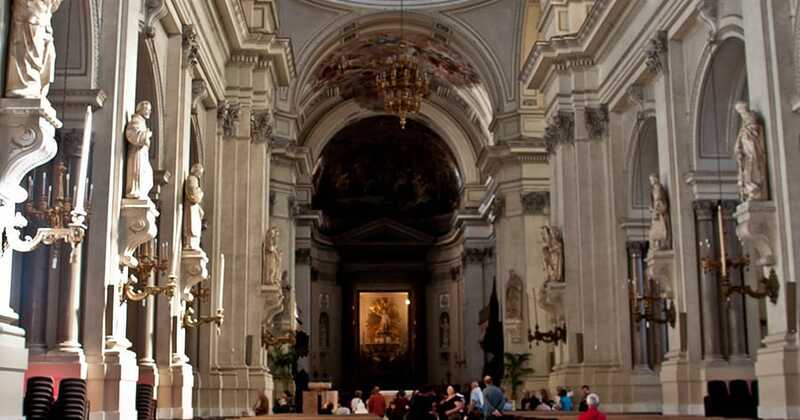 In this part, you will see the Baroque side cupolas, by Ferdinando Fuga, the portico by Domenico and Antonello Gagini, and the Sacrament chapel, at the end of the left aisles. This last one has precious stones and lapislazuli. Finally, there is the presbytery. Here, you visit the chapel of Saint Rosalia, patron of Palermo. Above all, it is closed by a bronze gate, with relics and a 17th-century silver urn. 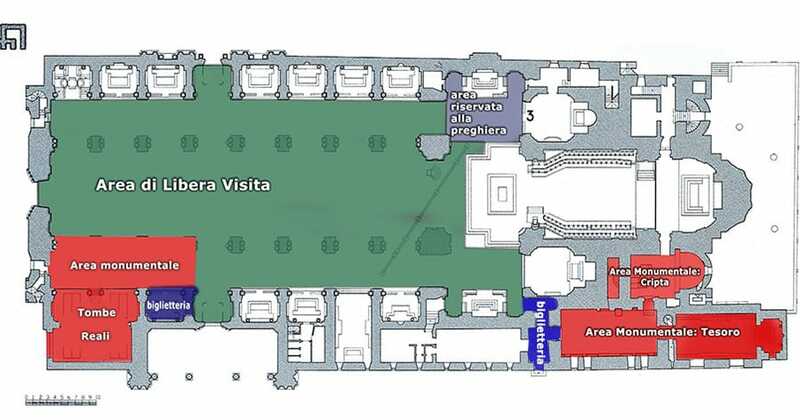 When visiting the Palermo Cathedral, you will be able to access different parts of the whole complex. Following, you will find the timetables. If you enter the church, the visit is free. Whereas, for visiting the Tombs, Treasury, Crypts and Terraces the admission fee is € 7. Or, you can also choose to visit each part separately. You can visit the Palermo Cathedral website for all the details. First, if you are reaching Palermo Cathedral by car, you will have to leave the car outside the centre. But, parking can be difficult, especially during the high season. Also, most areas have blue-lined parking spaces, which usually cost around €1 per hour. Whereas, if you’re arriving from the Palermo airport, you could take the frequent bus shuttle, that will bring you to the central station. Or, as an alternative, you can book one of our private transfers. Also, if you’re staying in the Cefalu area, you might catch a train. But, bare in mind, some train services can be a little slow. So, we suggest checking the timetables first. Don’t miss the opportunity to visit some of the best locations in Sicily with one of our escorted tours. 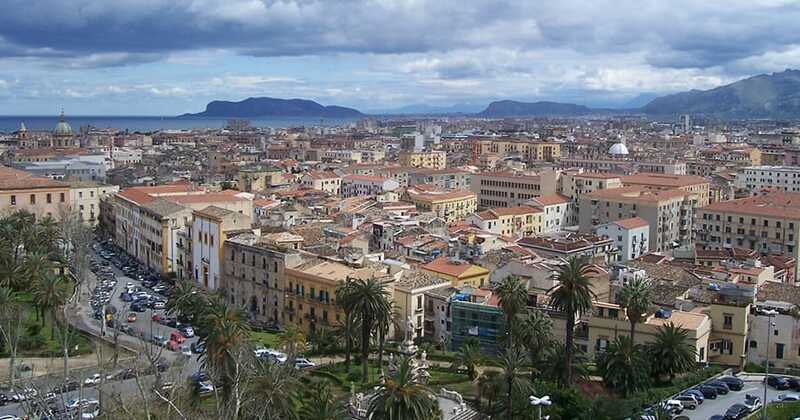 For instance, you can choose the 2 days tour of Northern Sicily and Palermo. In two days, you will visit Messina, Tindari, Modica, Cefalu, and Palermo. Also, you will have the opportunity to tase the real Sicilian wine in a winery. Finally, feel free to Contact us for more information, or for a free quote.